“Support the Girls” is what we did on Nov 6th. Our Pilates/Iyengar yoga Marathon was a huge success. We raised $8300 for the Canadian Breast Cancer Support Fund that day! I was there and I got to dress up like everyone else….a dream come true. My good friend Maxine from Fed Well Foods provided yummy healthy snacks to keep everyone going through all those hours of exercise (personally, I would rather chase a ball). Then we had an after party with a lots of great stuff in our silent auction. The leaves are falling and blowing around and the ground smells great at this time of year. I’ve gone for some great sunny and warm Fall walks with Mr. & Mrs. Barr to Serena Gundy Park , the boardwalk and other off leash areas. With the snow, wind and colder temperatures coming I’m letting my fur grow to keep me warm. Visions of tasty bones and sweet potato chips dance in my head. I’m dreaming about the Winter Solstice. Christmas and the long nights to come cuddling up with my humans. Mr and Mrs Barr are busy working on the Winter schedule. I heard them say something about Reformer Trios….you will have to stay tuned. 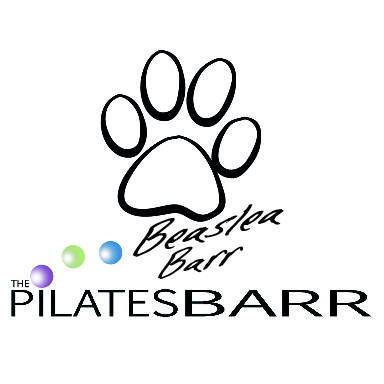 Speaking of Christmas, Pilates Barr Gift Cards are always perfect to give and receive. Perfect for those that you want, to give the gift of health and fitness to this year. There are lots to choose from. Intro packages, class cards or, may I suggest, pampering your loved one with some Pilates Private sessions or some FST treatments. OK, I’m off now for another fantastic walk. I can smell fire places burning in the cool air. Maybe we’ll go to the Boardwalk. Soon the entire beach will be opened up for every dog to run and play.